-USB( High-Speed / OTG ) and Optical(Toslink ) Digital Audio input. - Optical(Toslink) Digital Audio input. 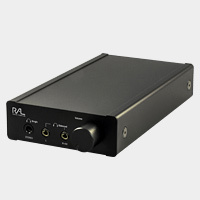 - Includes ESS SABRE32™ ES9018K2M Audio file class DAC. - Accepts DoP Standard 1.1 compliant DSD 11.2896/5.6448/2.8224MHz data and L-PCM 24bit/16bit:384kHz/352.8kHz/192kHz/176.4kHz/96kHz/88.2kHz/48kHz/44.1kHz (2ch). - Fully compatible with MFi iOS USB Host mode Audio specification. - Fully compatible with USB 2.0 (HS 480Mbps) Specifications. - Fully compatible with USB Audio Class 2.0. - Accepts DoP Standard 1.1 compliant DSD 11.2896 / 5.6448 / 2.8224MHz data and L-PCM 24bit / 16bit: 384kHz / 352.8kHz / 192kHz / 176.4kHz / 96kHz / 88.2kHz / 48kHz / 44.1kHz (2ch). *** This mode requires Lightning equipped iOS device and Lightning to mini-B cable. * USB Audio Class 2 Driver must be installed to use RAL-KEB03. *Mac OS X 10.8 or newer. Android phone or tablet. - USB OTG equipped USB high-speed (480MHz) port. - Android 5.0 or newer but USB Audio Class 2 driver must be included. Please check vendor's HP of your device. - OTG cable ( micro to mini-B) or OTG exchange adapter ( micro to USB-A female) is required to connect KEB03. - Accepts S/PDIF L-PCM 2ch. format. 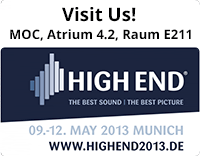 ***High-quality optical cable required to playback Hi-Rez music over 96kHz. ***KEB03 might not play back properly Hi-Sampling rate music with Low-quality cable and turn on KEB03. KEB03 will start Optical Digital Input mode. - Stereo earphone equipped with Standard 3.5mm mini Stereo Phone Plug. - Stereo earphone equipped with balanced cable and Standard 2.5mm mini-mini phone plug. (RAL compatible mode). - Stereo earphone equipped with balanced cable and Standard 2.5mm mini-mini 4-P phone plug. ( Astell & Kern AK240 compatible mode). “Made for iPod,” “Made for iPhone,” and “Made for iPad” mean that an electronic accessory has been designed to connect specifically to iPod, iPhone,or iPad, respectively, and has been certified by thedeveloper to meet Apple performance standards. iPad, iPhone, iPod, iPod classic, iPod nano, iPod touch, and Retina are trademarks of Apple Inc., registered in the U.S. and other countries. iPad Air, iPad mini, and Lightning are trademarks of Apple Inc. The trademark “iPhone” is used with a license from Aiphone K.K.